Alison & Ivy was inspired by the women in their own family. They wanted to bring out the best in women with jewelry to compliment the strength and beauty within. Ben David Jewelers carries the Alison & Ivy monogram jewelry designs that are created by talented artisans in the Alison and Ivy Chicago workshops. 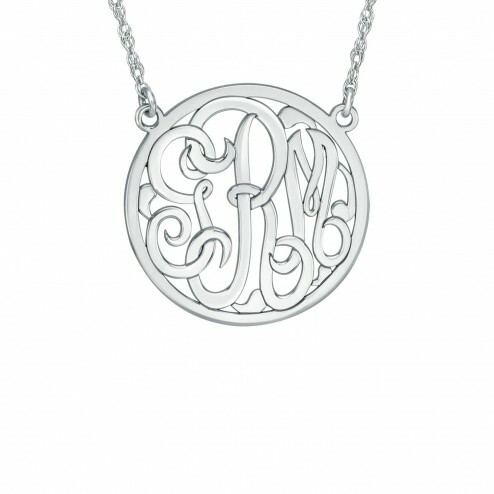 The technique for making this beautiful monogram jewelry is based on the special lasers that are used for cutting precious metals. The Alison and Ivy jewelry line comes in both yellow and rose god, various types of silver and plated styles. Additional features include diamonds and other gemstones to finish an already beautiful pendant. The Alison and Ivy line is so well-made that you’ll want to keep it as a family heirloom, passing it down to the next generation. Ben David Jewelers knows you expect only the very best in fine jewelry and this is why we chose Alison and Ivy for your personal monogrammed pendants. Stop by today to browse and try on the variety of styles of Alison & Ivy jewelry.